Cellphones and letters are attached to this custom-built metal canvas with magnets. This piece is interactive. 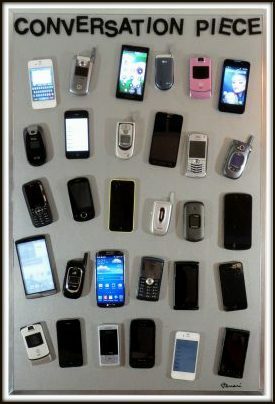 Many of the cellphones in this piece are still working, and display the last time and date when they were still “alive.” Viewers are invited to remove the phones in order to examine them more closely. Framed and ready to hang.